You’re on this page because you’re an admission seeker to the ancient University of Benin. 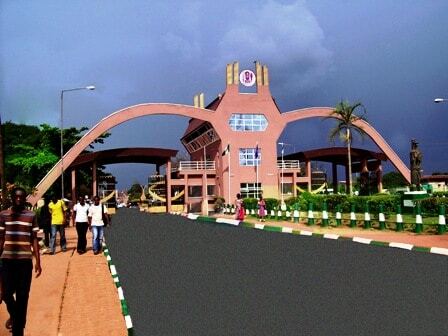 UNIBEN was ranked No. 10 (2018 Nigeria webometric ranking) and No. 3512 in the world. This great institution is a well sought after by Nigerian and foreign admission seekers. In 2017, the school only admitted 10,000 admission seekers out of 100,000 that partook in her post UTME/DE. This is 1 out 10 applicants. A recent news has it that UNIBEN got 34,497 applications, admitted 10,909. This was 2018 statistics. Hence, I’ll be helping if I can give you well-detailed guide to gaining admission to this beloved institution. You need to know from the start that as a professional and experienced education consultant, I’ll be writing from stock of experiences I had acquired for more than a decade. If you search the internet about this topic, you may not find a guide as this detailed. UNIBEN is a federal university which must adhere to the 45%, 35%, 20% formula for admission selection; representing 45% for merit list, 35% for catchment area and 20% for less educated states. That’s the federal yardstick used for admission by federal institutions. It’s a law unless JAMB finally discontinues giving admission based on less educated states; which was formerly proposed. Your mission to read this post should be to be among the 45% merit list. This is because you may not be lucky to belong to the catchment areas and the less educated states. Please note that I wouldn’t have prescribed the guide below if it had not worked for hundreds of my candidates in the past. Here is the list of what to expect in this post. First and foremost, hope you're set for admission with your O'level results? By this I mean, do you already have 5 required grades in your relevant SSCE, WAEC, NECO, GCE, NABTEB etc? That question may sound rhetorical but I must warn you that without 5 relevant O'level results, you're going no where for admission. Studying JAMB brochure (as I will be covering that below) will guide you as to what subject you must have credits or passes in. You can also use awaiting results to seek admission to UNIBEN provided the results will be out or available before the school's post UTME. This means if you're still in SS class or you're yet to have complete O'level, you can fill in awaiting results for your O'level during UTME registration at CBT centre. Note that, immediately your O'level result is released and the required subjects are made, you have to go back to CBT to scan and upload it to JAMB portal. This may attract additional charge! Literally, you'll need at least 5 credit passes in relevant subjects in one sitting or 6 credit passes in two sittings before you can apply. This means some courses requires you to use ONLY ONE SITTING e.g Medicine and you can use two sittings some others e.g Chemistry. Brochure is your best bet for this. You see, this is where the whole journey starts. During UTME registration, UNIBEN must be your first choice, though they are not in the second choice category any longer, just like several other federal universities. Don’t dance to the notion that if you want to show to a school that you seriously want them, you have to choose it as your first and second choice. That’s not true. In fact, with JAMB new system, it’s more possible to choose schools the way you want. There’re schools you won’t find in the second choice category of which UNIBEN is one. Hence you can’t take them as first and second choice. ONLY FIRST! Selecting school is no where difficult but selecting course can be doubting. combining wrong subjects in UTME for your proposed course. You see, most candidates wonder why their friends (proposing the same course at the school) get admitted even with weaker UTME score, post UTME score or O’level grades than theirs. They will of course argue that they’d done nothing wrong but my experience has shown me a lot. In short, you’re advised to visit, study and understand JAMB brochure. This is the only power you get. Where JAMB brochure is not available, accessible or difficult to study, check your eligibility status for a university and course you proposed there. This guide is perfect for saving you headache experienced from looking for or studying JAMB brochure. This takes me to - understanding the part of brochure; general requirements and special consideration (waiver) remarks. Even most applicants who end up studying brochure only read and understand ‘general requirements” which is the main needs for your proposed course but the latter explains situations where some institutions may have special needs for the course. For example, if you choose physiology at UNIBEN, while the general requirement is 5 credit passes in TWO sittings; the school’s special consideration (waiver) remark says they want ONE sitting. Do you see the picture now? What is acceptable in one school may be conditioned in another. Hence, a candidate who has 5 As in the required O’level results in 2 sittings will NOT be offered admission for Physiology at UNIBEN even if he or she has 100% score in post-UTME. But such a student wouldn’t know why because he didn’t study (well) the brochure in the first place. Your UTME result is out! What is your score? If you score any mark below 200, forget UNIBEN admission. You can immediately apply for JAMB change of institutions to schools who can accept such. If you’re a champ here, then, there’s another hurdle to cross. You’ll have to register for and write her post UTME. I used ”register for” above because there’s a point you must know. UNIBEN only considers applicants who follow their post UTME application instructions to detail. Imagine, the school had deprived candidates admission because they didn’t use RED background photos as instructed in the post UTME. I know you may not know much about the instructions, since this is usually handled by local cafe's attendants or managers. This is why you need to visit a respected and experienced cafe for your post-UTME registration. The university's post UTME past questions will be made available for you to download during your Post UTME registration. Download and study these materials. Next, at the exams scheduled dates, you must take part in the post UTME. Your test should be computer-based. Your post UTME score must be 50% or above before any hope for admission because the total mark is 100%. If you’re unfortunate, consider change of institutions immediately. If you win again, congratulations! Now let’s proceed to calculating your aggregate score and match it with your proposed course departmental cut off mark. By calculation, the departmental cut-off mark is UTME score divided by 8 plus post UTME score divided by 2. (UTME/8) + (Post UTME/2). Now wait for the school to release the current year cut-off marks for each department and believe something favourable will happen. To back your hope, I'd tried to find you recent departmental cut-off marks. I couldn't find this from the school portal or official source. However, I got a blog post for it. You have to be careful-making your decision based on this post, since it is not official blog for the school. Candidates who seek admission into 100 level course through their predegree programme are considered with an edge over the non-predegree applicants. However, you must do well in both UTME and post UTME even as a predegree student. This section is not for everybody. Direct entry applicants are candidates who had completed their studies in Bsc, HND, ND, NCE, IJMB, JUPEB, Cambridge Advance Level (A’levels) etc. These set of applicants, decide to further their studies to university for their courses or related courses but this time to 200 or 300 level straight. If you don’t belong to this category of candidates, skip to the next section. As a direct entry admission seeker, you must have equally obtained JAMB Direct Entry form (not JAMB UTME form). You also must register at any available CBT centres across the nation. JAMB direct entry form usually comes out the very time UTME candidates are registering too. It was in the past that DE form came after UTME. During the registration, your first choice institution should be UNIBEN, the school doesn’t consider second choice applicants. Before registration, please visit, study and understand the brochure. DON’T IGNORE this please. I had covered what you need to look for in JAMB brochure in my post, "JAMB Brochure: How to Study it to Avoid Admission Errors". My post, "Check Institution and Course of Choice Eligibility on JAMB Portal"will let you knw if you qualify for your proposed course at UNIBEN based on the SSCE and A'level results you have. You may and may not bother to submit a copy of your registration print-out and credentials to the admission of the university. UNIBEN doesn’t compulsory this submission. But there may be need to send the results and transcripts of your Bsc, HND, ND, NCE, IJAMB, JUPEB, Cambridge Advance Level (A’levels) to the admission office before Post-DE schedules. THIS is IMPORTANT. 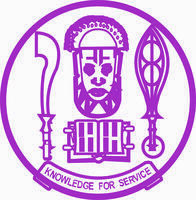 UNIBEN has special consideration for their DE candidates who participated in their JUPEB programmes and passed. It’s more automatic to gain admissions as their JUPEB candidate. As a direct entry applicants, you must equally be ready to write post DE exams which will be scheduled along with post UTME. If you’ve been following my posts in this series, you must have read this kind of piece about the University of Ilorin, Adekunle Ajasin University, Obafemi Awolowo University, Nigerian Defence Academy to mention a few. The purpose of those posts is to help you correct certain notions about gaining admission to the universities (not to give you names of professors, lecturers or security men who can use their slots to help you). You see, admission to UNIBEN is free and on merit. Remember where I started the post. I want you to gain admission on merit. I want you to be one of the 45 percent to be offered admission without knowing a person or spending a kobo. In order to achieve that, I have done my part by sharing something new. You should do yours by following my guide. They will admit some candidates constituting their catchment area i.e from their state and closest states to them. These candidates will constitute 35% of the list. If continues, they must admit 20% of educational less educated states. This means that, the aggregate score to be considered for catchment areas is less and those of less educated state will be lesser. Read my post "Admissions Based on Educationally Less Developed States, Catchment Areas and Merit" to get better idea of merit, catchment area and less educated states. I guarantee your admission into UNIBEN if you can follow the procedures lay down in this post. They are equally well known for giving you another compensating course in case your first course is out of your reach. Meanwhile during your post-UTME registration, you would be asked to choose 2nd choice course. This is back up. But it is worth knowing that you should avoid competitive course for 2nd course. If I were you, I would possibly take a very less competitive course as my 2nd choice for back up. And if offered admission to that, I would consider working hard to change my course while going to 200 level. They allow this provided you can meet certain departmental GPA (grade) at your 100 level.